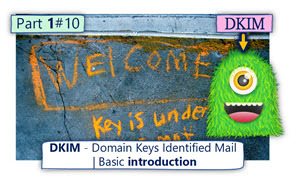 In the current article, we provide step by step guideline, for the task of – creating the required two “DKIM CNAME records,” that we needed to publish. This is a preliminary step that we must complete. 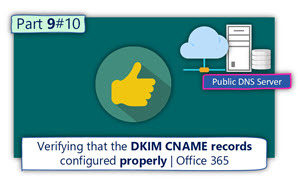 Only after the required “DKIM CNAME” records were successfully created, we can continue to the last step, in which we enable that outbound DKIM signing for a specific domain name registered with Office 365. 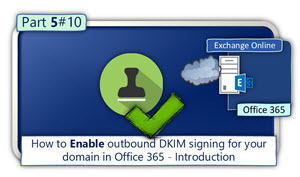 The prerequisite for enabling the outbound DKIM signing is – a creation of two CNAME records, that will be created in the DNS server who hosts the specified domain. 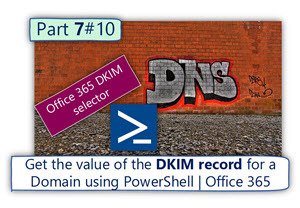 Note – in case that you need to get more information about this specific host’s names whom we use in our scenario, and the PowerShell command that we use for getting the required host names for a specific domain; you can read the article – Get the value of the DKIM record for a Domain, using PowerShell | Office 365 | Part 7#10. 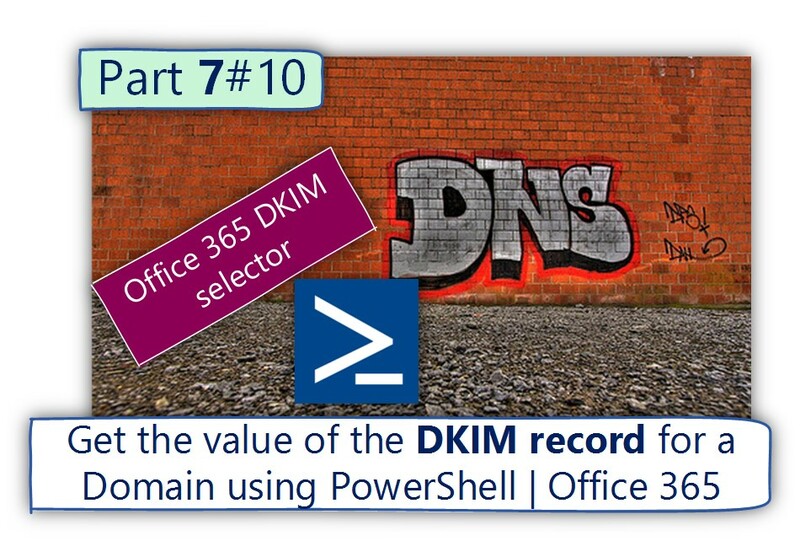 Using our public DNS management interface for creating the required two CNAME record that will be used for DKIM outbound signing in Office 365 environment. 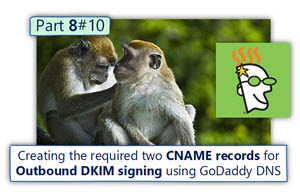 Creating the required two CNAME required for Outbound DKIM signing using GoDaddy DNS management interface. 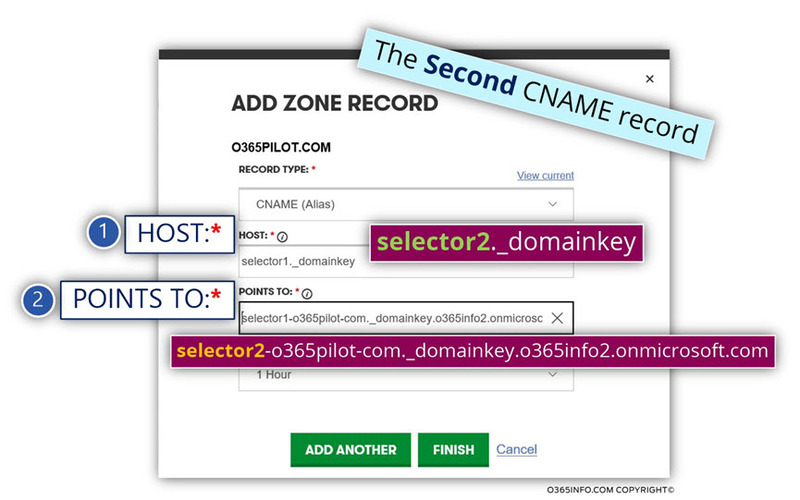 In the next section, I will demonstrate how to create the two CNAME records, that will point to the Office 365 DKIM Selectors using the GoDaddy DNS management interface. 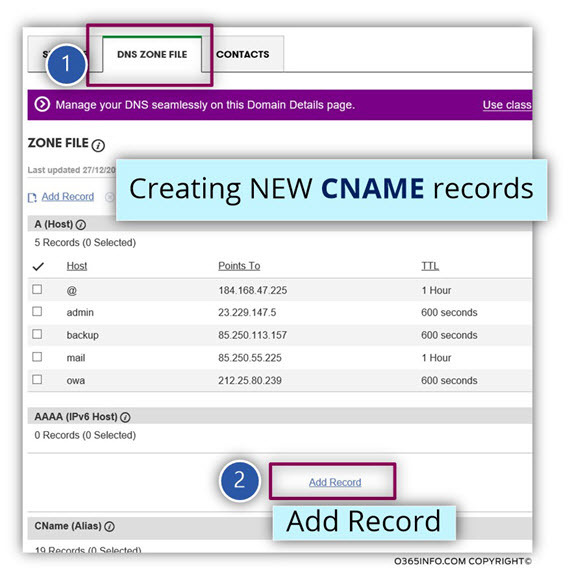 Regarding “other DNS management interfaces,” the major concepts of creating CNAME records are less or more the same on every DNS management interface, beside of some minor changes. 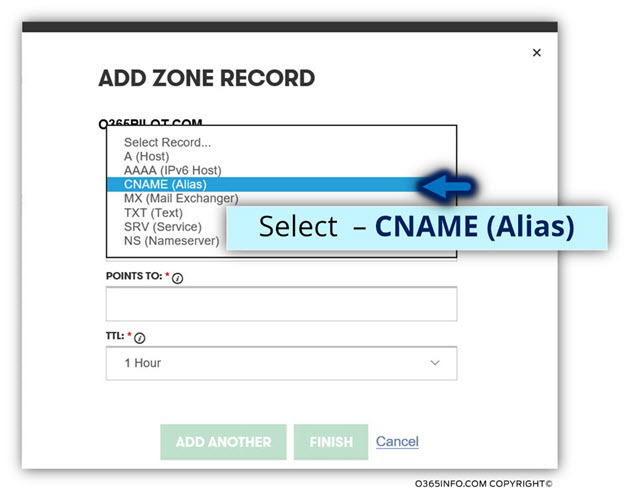 In our scenario, we would like to create a NEW CNAME record. 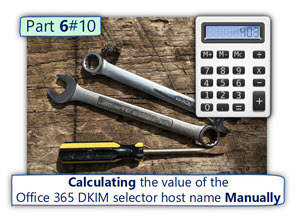 The host name in the “upper part,” will be used for redirected requests to the dedicated Office 365 DKIM Selector record, that includes the Office 365 DKIM Public Key. 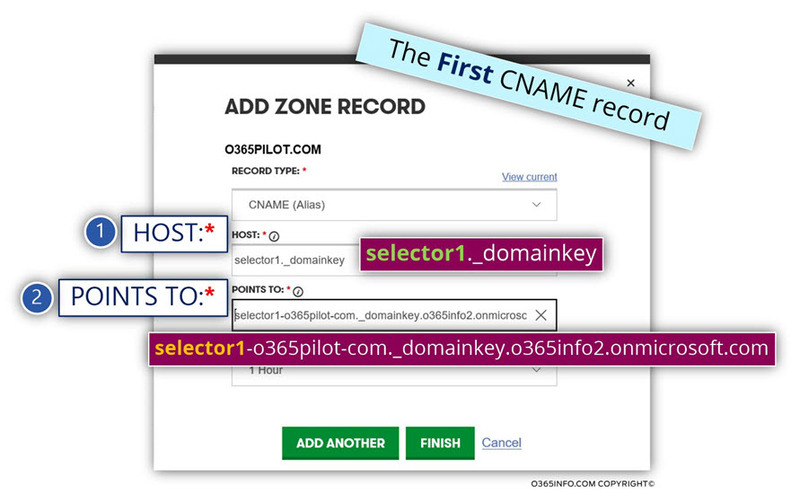 Before we continue, it’s important to me to briefly review the concept of the DNS CNAME record because, many times this concept can be a bit confusing. 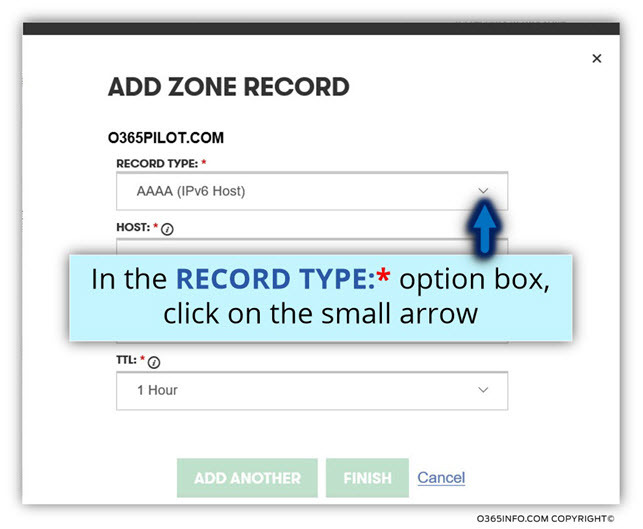 Save the new CNAME records that added by selecting the menu – Save Changes. 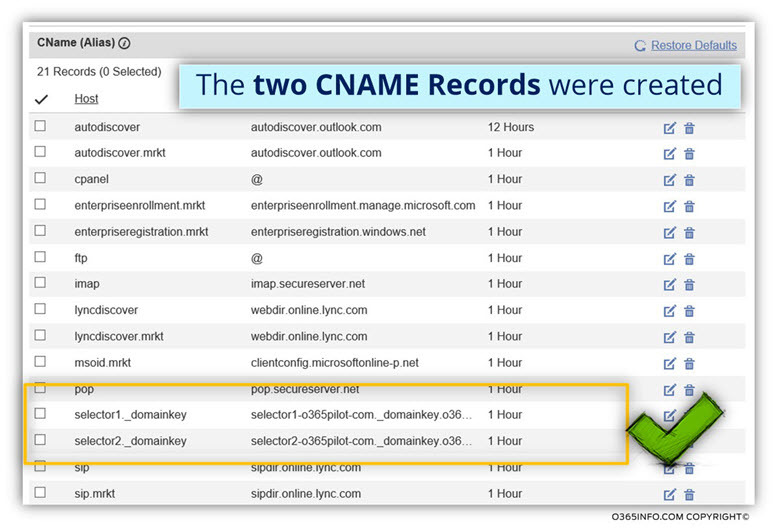 In the following screenshot, we can see the result; two new CNAME records created. 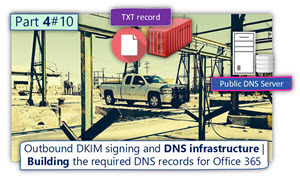 It’s recommended to continue to read the next article, which describe the “next step,” in which we review the process of – verify if the DKIM CNAME records are successfully published and available for external clients. 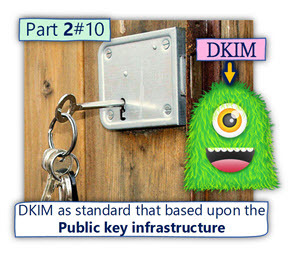 In the current article, we provide step by step guideline, for the task of – creating the required two “DKIM CNAME records,” that we needed to publish.This is a preliminary step that we must complete. 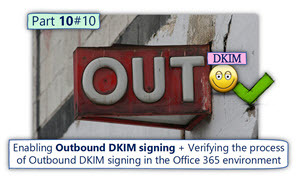 Only after the required “DKIM CNAME” records were successfully created, we can continue to the last step, in which we enable that outbound DKIM signing for a specific domain name registered with Office 365. 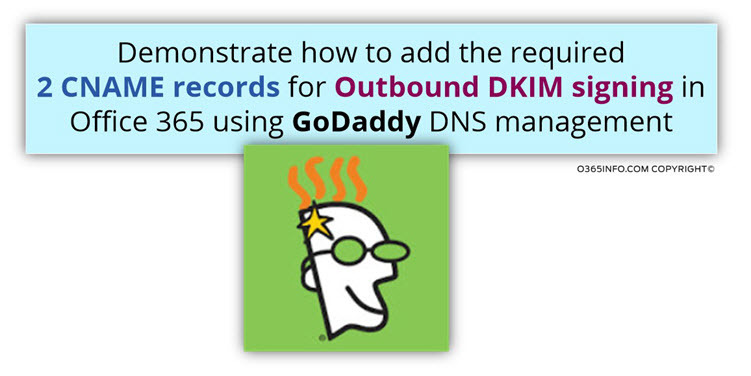 This works great… as long as microsoft hasn’t assigned your domain an ID that doesn’t exactly match. We have three websites that I’ll call aaaa.com, bbbb.com, and cc-cc.com. 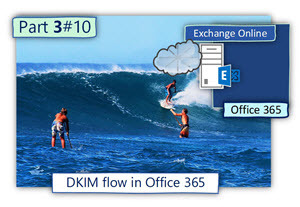 The GUIDs assigned through Office 365 are aaaa.com, bbbb.com, and cccc.com01i. That means for aaaa.com and bbbb.com these instructions work perfectly, and think you, but for the third, we’re still out of luck. Any thoughts on this? One thing I can tell you is Don’t Bother to Ask Go-daddy for Help doing it.